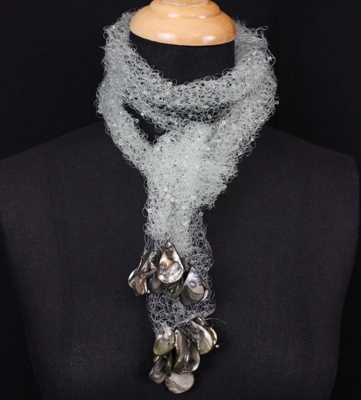 Hand-Knitted from Monofilament which has just the vaguest hint of green, this scarf is definitely for the Mermaid in us all. 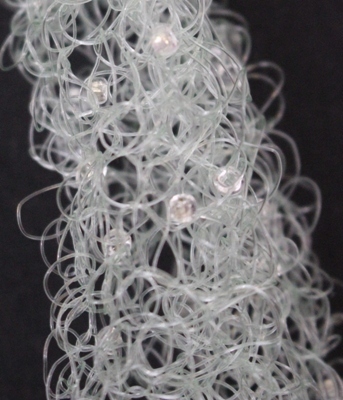 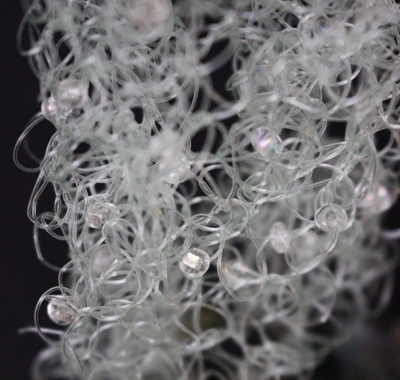 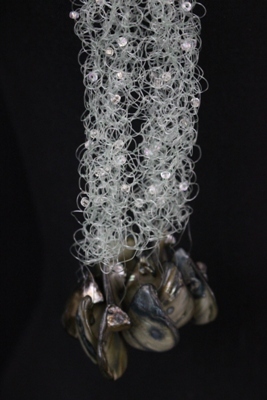 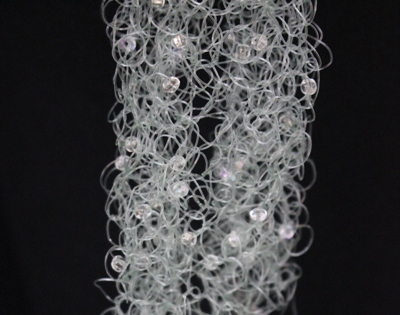 Clear seed beads have been threaded onto the line prior to knitting, and when picked up during the course of creating the scarf, they give the appearance on droplets of water caught in, and hanging from the knitted material. 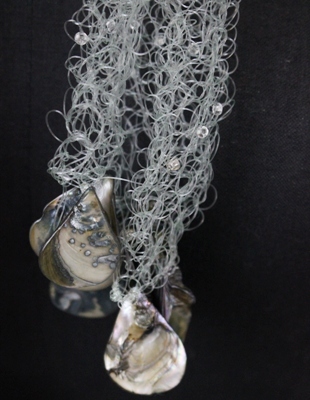 The piece is finished with shell beads, which although fairly uniform in general shape, each contributes its own set of colour and texture. 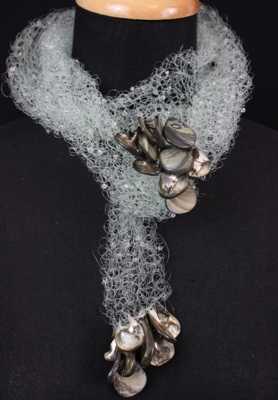 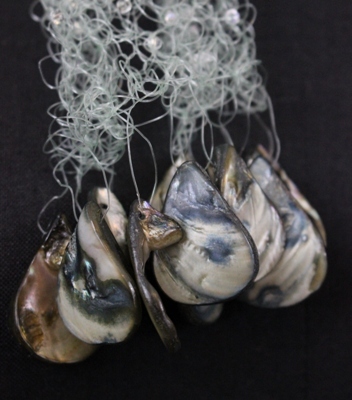 The beads also add some weight to the extremely lightweight monofilament, so that the scarf hangs with structure and form, despite the "springiness" of the knitted line. 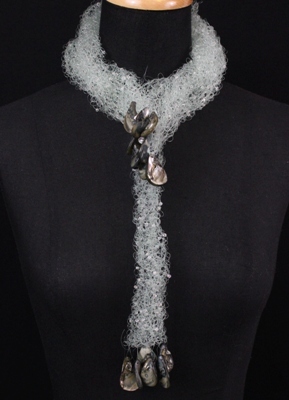 This inherent springiness also gives the three dimensional feel, as both sides of the scarf roll towards the centre. 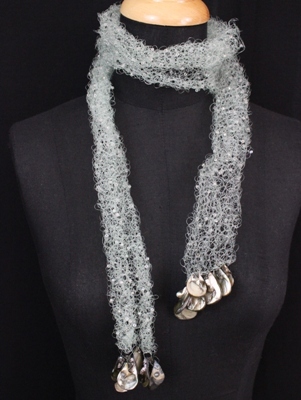 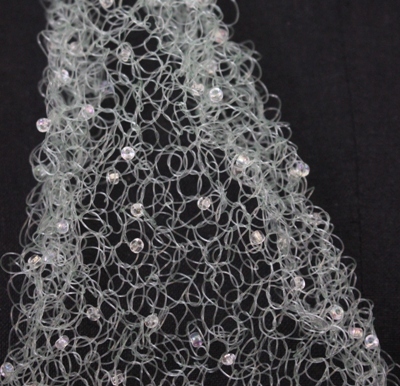 The whole piece is surprisingly soft to wear, is very lightweight, and really looks elegant and strikingly stunning. 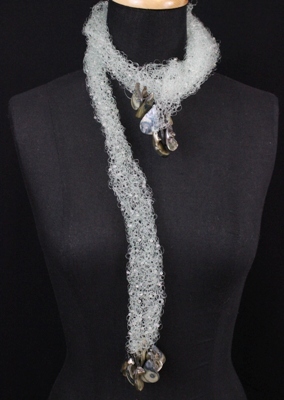 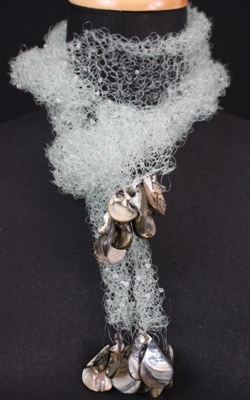 This is a scarf, that is art, that is jewellery, that is a unique neckpiece.